Having kids is such a good opportunity to get in touch with your inner child. (Ignoring all of the crazy responsibility, worry and cleaning that goes along with having kids, of course.) You get to see the world through their eyes and you’re reminded to stop and smell the roses — or rather, stop to dig in dirt or stop to lift up your shirt and find your belly button. You know, whatever floats your boat at the moment. But having kids is also a great excuse to play again — and not just Candy Crush. I’ve enjoyed sitting down with my kids to make what we’ve dubbed Fantastic Towers out of Legos. I’ve gotten into coloring alongside my kids while they draw and color and work on art projects. I play with them at the park, going down slides and attempting monkey bars. Swimming is a lot of fun, and my youngest shows me that even splashing is a simple joy. But one activity I’ve skipped out on is biking. While they’ve been triking and biking around for the last few years, I’ve been on the sidelines for one very good reason: I didn’t have a bike. I’d been meaning to get one, but as my kids aren’t yet old enough/and don’t have the ability to bike for any sort of distance, I haven’t had the push to get one to keep up with them. 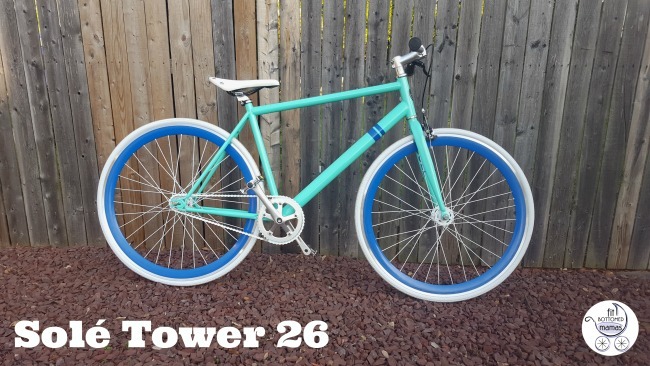 So when the opportunity came along to review the Tower 26 bike from Solé Bicyles, I was all for it. It arrived 90 percent assembled, which is a good thing. Because while it’s easy to assemble, when you’re too excited to wait for your toddler to take her nap and you’re trying to put it together with said toddler “helping,” it gets to be a challenge in a hurry. Once I was able to focus unassisted, I had it put together in no time. It took just a bit of figuring out how to tighten the brakes — and of course buying a new pump when our old one busted — and I was ready to ride. As it had been over a decade since I rode a bike, I quickly learned why everyone always rolls their pants when biking or uses something like this. After I did a quick tight-roll to avoid the bike chains, I was back in business. I discovered that riding a bike is like riding a bike — you don’t forget how to do it. So even though I felt like a foal using its legs for the first time, in about two minutes I was feeling much more comfortable. The longer I rode, the more comfortable and confident I felt, too. 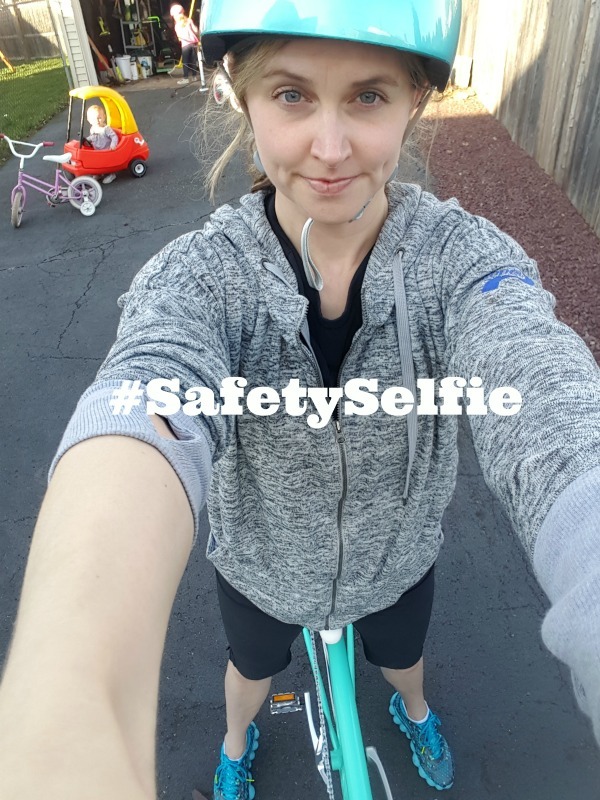 In the past, I’ve always biked on roads that didn’t see much road traffic, so I was just slightly apprehensive about riding in the streets. (Call it leftover childhood apprehension.) But I quickly got used to it. And while I may not ever get super brave to go very far distances — Jersey drivers make me nervous — for biking around my particular neighborhood and for leisure, this bike is a gem. At $399, it’s pricier than the bikes you might find at your discount store, but it’s solid and well-made. 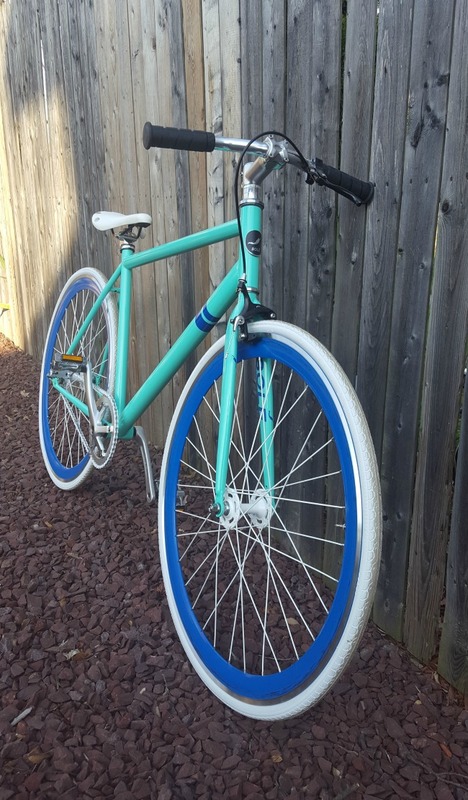 It was easy to put together, and rides really smoothly. It’s a single-speed bike, so you don’t have to worry about shifting gears. The only thing I would change? I’d love a kickstand so I wouldn’t have to worry about smudging this beauty of a bike. Solé has so many really cool bikes to choose from and they are all so pretty, like Jenn’s Zissou. The OFW in red is super tempting. And this pink? Awesome. I clearly made the right choice though. I mean, you can see how perfectly my helmet matches my bike.